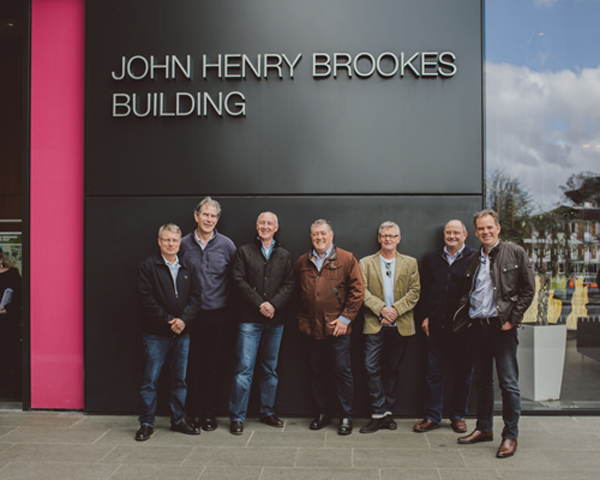 HND Building alumnus Marvin Goode '81 and six of his classmates visited Oxford Brookes for a reunion in March, most of them hadn't been back since they left in 1981. The group shared so many great memories of life at the Poly in the late seventies. Here are Marvin's memories. The rooms were very basic but very warm, almost too hot, the baths; there was no showers, filled very quickly so couldn’t turn away and leave them to fill, the water was very hot. The toilet paper was not the soft variety, a real shock. Wheatley was breakfast and evening meal and the food was very good. Three courses for evening meal. The trip from Wheatley to Headington was on a double decker bus. The ticking of the bus back in the evening from Headington went you could eat at Headington by showing your room key and then again at Wheatley. Result. The bus drove into Headington campus and stopped outside the Gibbs Building. But because in 1978 there were so many strikes going on picket lines at the poly gates the bus driver would not cross the picket line, so we had to get off and walk through the picket line. The entertainment at Wheatley was a great ‘disco’ every night of the week including Sunday, 7 days a week all tern, all year round. Brilliant. Because the student union bar had no elevated stage, bands that came were on the same level as the audience, making it very intimate and lively. A couple of the bands which were regulars, were Chas and Dave and The Cure. Robert Smith the lead singer and his two band mates drunk with us at the bar they had finished their set. As did Chas and Dave, who could drink for England. I googled The Cure at Wheatley and got a page which is interesting “The cure live concert 13/03/1979 Oxford Lady Spencer Churchill” I was definitely there that evening! The entertainment committee did a great job in ’78 and ’79, the bands which came to the poly were not only big at the time but some went on to become greater bands. I saw Cliff Richard and Julie Covington who came for a Christian gig. The Specials, Madness and The Selector. The 1979 2 Tone tour, Third World, The Undertones, Belle Stars and many more. The Christmas and Summer balls were always sold out, and great fun. Rag week was great the first stunt I witnessed was when a large group of students set up a large table and chairs on the roundabout at the junction of the A40 and the ring road. I watched from the bus the students sitting at the table all dressed in dinner jackets being served by waiters. The police came soon after we passed. Another stunt, was a group of men were digging up the road in the centre of Oxford. Someone told the police they were students on a rag week pranks. The labourers were told the police were students dressed as coppers. We all stood in a pub near and watched the fight between both groups. 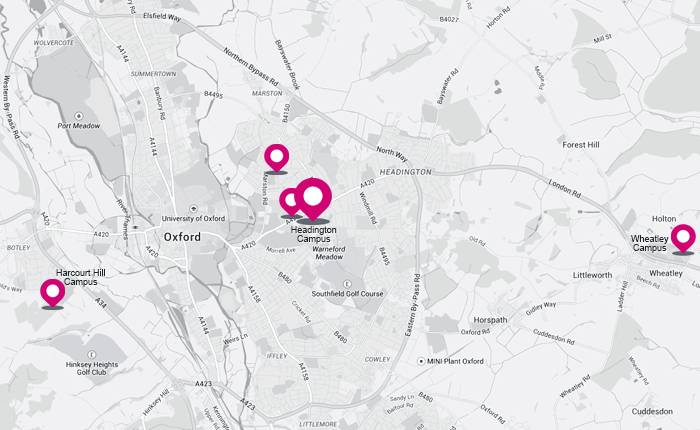 There is a pub in Oxford called the Blenheim. The plan was after a Bank Holiday weekend was to drink the pub dry and the take the large photo of Blenheim Palace hanging on the wall and holding it hostage for money towards Rag Week. They got wind of it and had a guy guarding the picture, the pub was drunk dry apart from a couple of bottles the landlord kept for himself. Another way money was raised for rag week was paying for a team of students, faces hidden to put custard pies in people faces. I was one of those throwing the pies and was never identified. The week descended into chaos, eventually being stopped by Mr May the Bursar. Another stunt, one student a member of 21 SAS (territorial) Regiment abseiled off the tower block for charity. With the approval of Mr May the Bursar.